Freeborn, Jeremy. 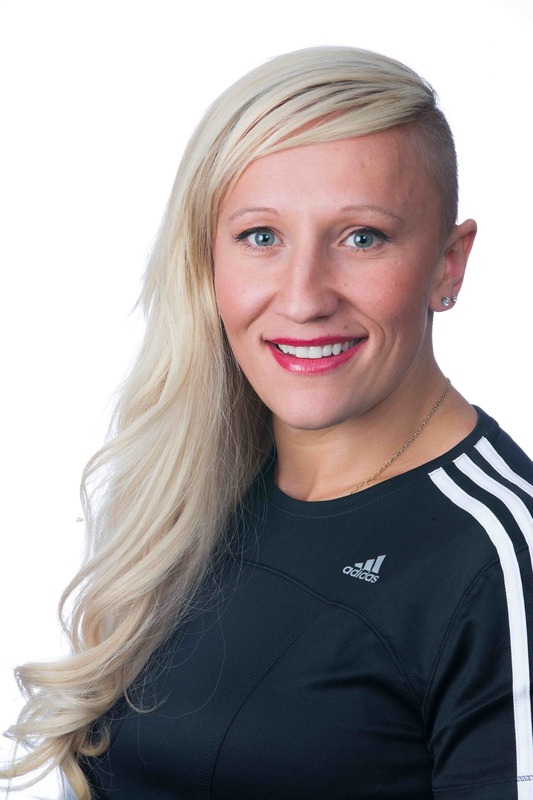 "In Conversation with Kaillie Humphries ". The Canadian Encyclopedia, 04 March 2015, Historica Canada. https://www.thecanadianencyclopedia.ca/en/article/an-interview-with-kaillie-humphries. Accessed 20 April 2019. In September 2013, author Jeremy Freeborn interviewed Olympic and world champion bobsledder Kaillie Humphries for The Canadian Encyclopedia (via e-mail exchange). JF: How did you get involved in the sport of bobsledding? KH: Prior to bobsledding, I was involved in alpine skiing. I’ve always loved winter sports that involved speed, and I’ve been known to be a hard worker. Bobsledding was a childhood dream, and naturally around the age of 17 when I decided to give it a shot, I gave it my all. Looks like things didn’t turn out so bad after all! JF: Was it intimidating going down the bobsled track for the first time? KH: What most people don’t realize is that going down the track, you reach speeds of over 120 km/h. The first time going down, it’s a pretty unique experience to feel the wind and realize how fast you’re actually going. JF: What were the most significant challenges you faced as a bobsledder in the early stages of your career? KH: Having to switch from alpine skiing to bobsledding, I’d say the most significant challenges I faced were in terms of the techniques of the sport. It was a re-adjustment to make, and lots of little details seemed to be so hard to grasp. But with concentration and focus, and the support of my family and friends, I got through it and enjoyed the sport for what it really is, one of the biggest adrenaline rushes anyone could ever feel. JF: Tell me about your long road to the elite level of the Canadian women’s bobsled program. I understand you were disappointed to be used as a spare on the Canadian team at the 2006 Olympic Winter Games in Torino. KH: Given my competitive nature, being used as a spare was a very difficult thing to accept. Obviously, you’re happy that you’ve been considered and have made it to the Olympic stage, but you can’t control your hopes. JF: After experiencing that personal disappointment, what changes did you make to become an elite bobsledder? KH: After disappointments, whether big or small, it’s important to take some time off to reflect. See where things went wrong, what could’ve been done. It’s crucial to pinpoint these things, but when that’s done, it’s time to move on and re-focus. That’s exactly what I did. I got right back into the gym, worked on my speed and my technique. I worked harder and I followed the plan we set up with the coaches because ultimately I don’t want to feel that disappointment ever again. JF: Tell me about the gold medal victory at the 2010 Olympic Winter Games in Vancouver. What specifically do you remember from the race? KH: It all happened so quickly. One moment we’re warming up, the next we’re pushing the sleigh down the track and next thing I know, it’s over. Then the waiting begins, and in some ways that’s the hardest part of the game, because you don’t control anything. You’ve done what you can do, and you just kind of have to control your nerves and see what happens. Once that was done, I just remember hugging Heather [Moyse] and thinking, we’ve done it. It was an emotional moment. JF: How meaningful was it for you to win gold in Canada? KH: I remember being a kid, all I wanted and dreamt of was to win gold at the Olympics. Being able to do so at home, I never would’ve dreamt of it, not even in my wildest dreams! It made that win even more special than it already was. I’ve always been proud to be Canadian, and getting gold in Vancouver just felt like the whole country was in the sled and on the podium with us. Words can’t begin to describe it, really. JF: What are your strengths as a bobsledder? KH: My physical strength and my ability to follow the line, I believe. You have to be strong enough to push the sled and be able to gain speed and good momentum, but once in it, you need a certain finesse to quickly analyze the conditions you’re in and make the adjustments necessary. Everything happens so fast, you have to be quick. JF: Who would you say has made the strongest contribution to your success? KH: I would never have made it where I am without the support of my family and friends. They are the reason I get to focus on doing what I do best, and they are always there for me. Whether it’s getting gold at the Olympics or the daily frustrations that I face, I can count on them to be there for me every step of the way. JF: Outside your Olympic gold medal, and two World Championships, what would you consider as your greatest achievements in the sport of bobsledding? KH: Aside from those accomplishments, I think I am most grateful for the opportunities that come with being on the world stage. I appreciate being able to make my voice heard, and working with organizations like Right To Play. I am undoubtedly very proud of my personal accomplishments, but having the opportunity to do what I do AND be able to affect someone’s life and maybe inspire them, that’s something that goes beyond the medals and the cups. JF: What have you been able to achieve through the Right to Play organization that has been so meaningful for you? KH: Right To Play allows athletes to go beyond their country’s borders and make an impact on kids in the most remote parts of the world. I firmly believe that every child deserves the right to play and getting the opportunity to talk to them about what I do and what sports have taught me, it’s a magical thing. Most of these kids don’t really know about bobsleigh, or even the notion of snow! I’m happy to get to teach them, or at least try to! JF: I understand you have taken a strong stance against bullying, something you experienced growing up. How difficult was it for you to overcome some of these obstacles and do you believe your ability to overcome bullying made you a stronger athlete? KH: I believe one’s ability to overcome bullying makes them a better person, regardless of whether they are an athlete. Of course, given my status as an athlete I had the perfect platform to make my voice heard and educate people regarding the matter. It wasn’t an easy thing to overcome, but if my story can help anyone out there, then it’s a no-brainer.